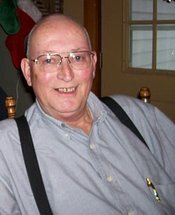 Martin J. Trinkl, Sr., age 71, of Leroy Ave., Lansing, NY, passed away at home on September 22, 2011. Born June 15, 1940, in the same house he passed away in, Marty was a son of the late Ignatz and Josephine (Kukitz) Trinkl, Sr. A lifelong Lansing resident, he was a 1958 graduate of Lansing High School, where he was inducted into Lansing Athletic’s Hall of Fame as a member of the 1955-56 Basketball team. Marty’s greatest pleasure came from spending time with family. He was a proud, devoted husband, father and grandfather who will be dearly missed. A sensitive and appreciative man, he accepted people as they were. He was a very detail oriented man with a curious mind; always able to answer any question directed his way. Marty also enjoyed spending time at Myers Point and birdwatching. He was a dedicated employee of Cargill for over 41 years, retiring in 2000 as a mine surveyor. 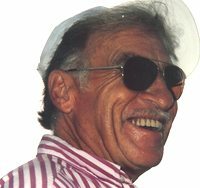 Endwell: Stanley "Stosh" Binkewicz, 79, of Endwell, unexpectedly fell asleep in the Lord, on Tuesday, September 13, 2011. He was born on September 28, 1931 to the late Bernard and Steffie Binkewicz. Stan is survived by his loving wife of 52 years, Helen; three sons, Daniel (Mary) Binkewicz, Matthew (Katrina) Binkewicz, and Peter (Julie) Binkewicz; eight grandchildren, Paul, Melissa, Kristen, Jessica, Justin, Kathleen, Caroline, and Tony; numerous cousins, nieces, and nephews. Susan M. Davidson, 58, passed away peacefully in the presence of her loving family at home, on Ridge Rd., July 24, 2011. She was an amazing woman who fought hard against pancreatic cancer for almost three years, and beat the odds. Born August 18, 1952, in Queens, NY, she was the daughter of William H. Martinson, who survives her, and the late Jean Roessler Martinson. A graduate of Mepham High School in Bellmore, NY, Susan earned her Bachelor's degree in Human Development at Cornell University and her Master's in Education from SUNY Cortland. She married her husband, Norman Davidson, in 1976. After a stint teaching, Susan took time to raise their two sons full time. Once they matured, she returned to work, most recently as a tax preparer at Sciarabba Walker & Co, where she worked for over 10 years. 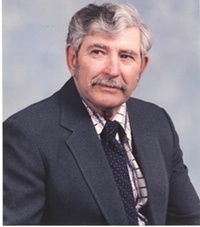 Eugene L. Dean of Lansing, NY, died on his 86th birthday, July 5, 2011, at the Cayuga Medical Center, Ithaca, NY, with his wife of 64 years, Janet (Morse) Dean by his side. Born July 5, 1925 in Albany, NY, Gene was the son of the late Louis and Helen (Wagner) Dean. A 1943 graduate of Ithaca (NY) High School, he entered the United States Army in August 1943, serving in Europe as a reconnaissance squad leader during World War II and a supply officer following the armistice, achieving the rank of staff sergeant. He received his discharge from the Army in November 1945, earning a Good Conduct Medal and Purple Heart for his service. LeLand John Ruzicka, 82, passed away at his home in Lansing surrounded by family on June 19, 2011. Born in Ithaca, NY, on August 31, 1928, Lee was a son of the late Bernard and Goldie (Davis) Ruzicka. A lifelong Lansing resident, he graduated from Ithaca High School, attended drafting school in Albany, and proudly served his country in the U.S. Army. In 1951 he was married to Eleanor Ludlow and they enjoyed 60 years together at their lake home on Milliken Station Road Ext. Lee worked at Cayuga Rock Salt in Lansing for many years before getting seriously hurt on the job. 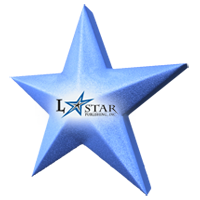 Harry E. Reinhart, 85, of Lansing, passed away June 16, 2011 at Hospicare of Ithaca. Born in Johnsonburg, PA on March 11, 1926, he was the son of the late Frank and Ada (Wachob) Reinhart. He graduated from Albion, PA High School in 1944 and served in the US Army in Korea. Following his service, Harry graduated from Slippery Rock State Teachers College and earned his Master's Degree at The University of Pittsburgh. In 1952 he married Constance Neale in Beaver Falls, PA. Harry taught in several Pennsylvania school districts and was principal of the Conneaut Valley School District. He moved to New York upon being appointed principal of Lansing High School and served in that role from 1966 - 1971. Harry then became the Director of Education at George Junior Republic. After retiring from education, he worked at Therm, Inc., Ithaca, NY. Jason D. Herren passed away unexpectedly at home on June 7, 2011, at the age of 36. Born December 23, 1974, in Phoenix, AZ, he was the son of Katrina Neff and Billy Herren. 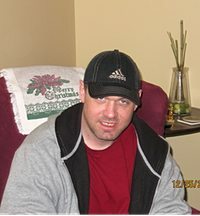 Jason was employed as a welder at Pall Trinity Micro Corporation in Cortland. In addition to his mother Katrina (Pat) Neff of Lansing, and his father, Billy Herren of IL, Jason is survived by his brothers, Jeremy Herren and James Neff of Lansing; a sister, Jessica Herren of IL; maternal grandparents, Mary Sue Taylor of AZ, Fred Cooper of AZ. and paternal grandmother, Billie R. Herren. Thomas Andrew Skibitsky of Lansing, New York peacefully passed away on June 05, 2011 surrounded by his family. He was born to Andrew and the late Aldona Skibitsky on August 25, 1942 in Brooklyn, NY and was raised in Montgomery, NY. He met his beloved wife Lynda (Lehmann) in 1964 and married in 1966. After serving in the US Air Force, he continued his education and then traveled the country as a Sonar Engineer with General Electric. His travels brought him "home" to Ithaca in 1972 where he changed careers and was a Production Supervisor for NCR and Paxar until his retirement in 2007. He was a member of All Saints Parish, the Alfa Romeo Club and the Elks Club. Tom was passionate about living life to the fullest. He enjoyed golfing, traveling, boating, and spending time with friends and family. 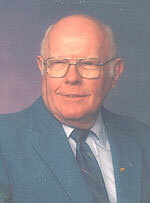 Calvin D. Volbrecht, age 86, of Lansing, NY, passed away June 5, 2011. Born March 5, 1925, he was a son of the late Arthur and Eva (Keener) Volbrecht, Sr. After graduation from High School, Cal proudly served his country in the U.S. Navy. Upon returning to Lansing, he was married to his loving wife of 63 years, Edith Davis Volbrecht. Cal worked for several years with his brothers in the Volbrecht Lumber Co., was a self employed carpenter and worked for a time in the maintenance department of the Ithaca City School District. He began his own scrap metal yard with the intent of working on his own vehicles, but it quickly expanded, and he was proud of having spent over 50 years as a "scrapper". 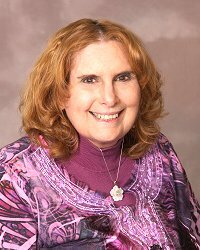 Roseanne "Ro" Burin, 49, passed away April 25, 2011, at Cayuga Medical Center, surrounded by family and friends. Born November 3, 1961, in Ithaca, Ro was a lifelong resident of the Lansing community. Barbara K. White, of Auburn Rd., Lansing, NY, passed away Monday, April 4, 2011, at the age of 57. Born July 28, 1953, in Ithaca, she was the daughter of the late F. Wilbur and Hilda (Phippen) Wilson. After graduating from Lansing High School, Barb went on to earn an Associates degree from Paul Smith's College. She was employed for many years as a secretary with the Lansing Public School System. Active in her community, she was a member of the Lansing United Methodist Church, where she participated in the church choir as well as the Bells Angels Bell Choir. She was also a member of the Lansing Lions Club, the Lansing Theatre and Performing Arts, and was one of the founding members of the reorganized Lansing Community Council where she was instrumental in the creation of the Harbor Festival. Joyce Henniger of Woodsedge Dr., Lansing, NY, passed away March 3, 2011, at the age of 78. Born February 3, 1933 in Spangler, PA, she was the daughter of the late Donald and Bertha (Lewis) Douglas. A Lansing area resident for nearly 50 years, she had retired from Woodsedge Senior Housing as an office administrator. Joyce had a strong dedication to her community and over the years served in various capacities in many local organizations. A member of Lansing United Methodist Church for over 30 years, she was also a former member of the Lansing Lions Club, Lansing Historical Society, served two terms on the Lansing School Board, was on the board of Tompkins County Office for the Aging, and was a member of the Woodsedge Resident's Association. An avid gardener, Joyce spent many hours tending her perennials and in later years became very accomplished at tole painting. She enjoyed her seasonal outings with friends to the Hangar Theatre. Her passion for travel took her around the globe to such places as Alaska, Ireland, Russia, Tibet, China, Peru, Costa Rica and Belize. In addition to her parents, Joyce was preceded in death by her husband, William Henniger; a son, Greg Henniger; and her brothers, Kenny and Barry Douglas. She is survived by her daughter, Liz (Steve) Davis of PA; four grandchildren, Abby (Michael) Brennan of NJ, Tyler (Gretchen) Davis of AZ, Matthew Henniger of TX, and Ashley Henniger of FL; a great grandchild, Eric Davis of AZ. Joyce also leaves a large, loving circle of friends in the Lansing community. For those who wish, please consider a contribution in Joyce's memory to Haiti School Project c/o Lansing Methodist Church, 32 Brickyard Rd., Lansing, NY 14882 or Food Net, 2422 Triphammer Rd., Ithaca, NY 14850. A memorial service, officiated by Pastor Jane Sautter, will begin at 11am, Saturday, March 19th, at Lansing United Methodist Church, 32 Brickyard Rd., Lansing, NY. 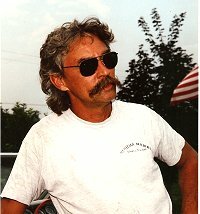 William Arthur Schempp of Emmons Rd., Lansing, NY, passed away February 11, 2011, at the age of 62. Born June 11, 1948, in Ithaca, Will was the son of George Christian Schempp and the late Mary Elizabeth Finch Schempp. Will took great pride in having achieved the rank of Eagle Scout at the tender age of 14. An avid drummer and guitar player he was a member of numerous bands in his early years. Will enjoyed his work as a master carpenter for over 20 years with Perfect Painters/Heritage Builders, and jokingly said "work was a way to fund a good time". A former member of the Wine Country Antique Boat Club, Will earned numerous trophies over the years for his beautiful restoration of antique boats. James Alden Brown, age 86 of Ithaca, entered into eternal rest with his Lord and Savior on Monday, January 17, 2011 at Cayuga Medical Center. Jim was born in Mincar, West Virginia, the son of the late Lola Marie and Russell Brown. He retired from Borg Warner after 35 years of service. While living in West Virginia, he worked as a coal miner. He was a lifetime member of Forest City Lodge #180, a member of Henry Highland Garnet Masonic Lodge #40 and a lifetime member of Calvary Baptist Church. Clarice Baker Hoag, age 87, passed away on December 11, 2010, at her home on Auburn Rd. in Lansing, NY. Born May 31, 1923, in Weedsport, NY, she was a daughter of the late Roscoe and Ada (Rodgers) Baker and was a 1943 graduate of Weedsport Central School. On July 3, 1944, Clarice was married to Kirk "John" Hoag, whom she met on a date arranged by their siblings. Shortly after marriage, they moved to Lansing where they settled in and raised their family. A loving wife, mother, grandmother and great grandmother, Clarice's family was her passion and priority in life. She was a wonderful homemaker, a longtime member of Lansing United Methodist Church, a 4-H leader and she babysat for many children in Lansing. She also worked as a Teacher's Aide and at Rothchild's Department Store during Christmas season. Clarice struggled with Parkinson's Disease for 25 years, but was fortunate to remain at home with the love and care of her husband and family. 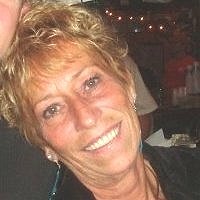 Ocean City, MD -- Julie Ann Eade, age 59, died suddenly on Tuesday, December 7, 2010. Born in New York, she was the daughter of the late Kenneth Gilbert and Loreda Kniskern Gilbert. She was preceded in death by her husband LaVerne "Sonny" A. Eade, Jr.
Mrs. Eade had worked for many years at OC Hair and Nails in the Gold Coast Mall where she was a manager. She was a New York Giants fan and loved gathering with friends to watch football games. She enjoyed boating, fishing and lounging by the water, her favorite destinations included the Bahamas and the Cayuga Lake in upstate New York. 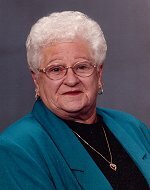 Beatrice D. Oplinger Lower "Aunt Beattie", age 82, of Freeville, passed away at home on December 1, 2010. Born May 11, 1928, in Ithaca, she was the daughter of the late Harold B. and Florence (Bowers) Ellis. A lifelong resident of the Lansing/Dryden area, Beatrice grew up and attended school in Ludlowville. In 1945 she was married to the late Floyd W. Oplinger, who passed away in 1981. After raising two children and retiring from Cornell University, she and Floyd traveled throughout the U.S. with their fifth wheel RV, visiting many interesting areas and making friends along the way. William Francis Kelly, age 80 of Ithaca and a former Lansing resident, died Monday afternoon, November 29, 2010 at Hospicare, in Ithaca. Born on December 19, 1929 he was the son of the late William M. and Frances Kelly. Prior to his retirement, he and his wife, Helen, owned and operated B. Kelly and Sons Carpet Cleaning Interiors in Lansing. Mr. Kelly was the past president and actively involved in the Ithaca Kiwanis Club. He was a lifetime Soldier in the Salvation Army and was a member of the brass band and the songsters. He will always be remembered for his jovial sense of humor and his outgoing personality. Robert E. "Bob" Dake passed away at his home on Monday, November 15, 2010 after a lengthy illness. He will be missed by his wife of 50 years, Andrea (Davis), son Douglas (Jodi Provost) of Lansing, NY, daughters Kristie (Rick) Harrold of Lorain, OH and Carla (Jeff) Overstrom also of Lansing; his grandchildren Kyle, Corey and Kristin Dake, Alyssia Harrold, his sister-in-law Ann Dake of Indiana as well as numerous extended family and friends. Nancy Jane Bachelor, age 79, of 47 Ridge Rd., Lansing, NY, passed away on November 5, 2010, with the love and blessings of all her family. Born August 14, 1931 in Kellogsville, NY, she was the daughter of the late Jake and Margery (Cutler) Leiber. She retired in 1995 from Cornell University with over 35 years of dedicated service. Nancy will be remembered for her love of the New York Yankees and her kind, giving spirit to all who knew her. Her family will miss her humor and the never ending love she had for each of them.